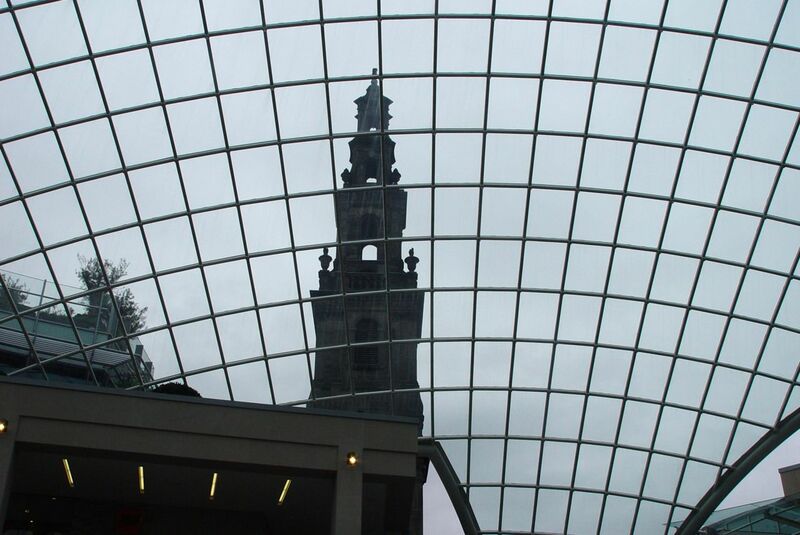 Off then to Leeds, to introduce the great Liverpool film ‘Of Time and the City.’ And to look at a good few glass rooves. Starting here. 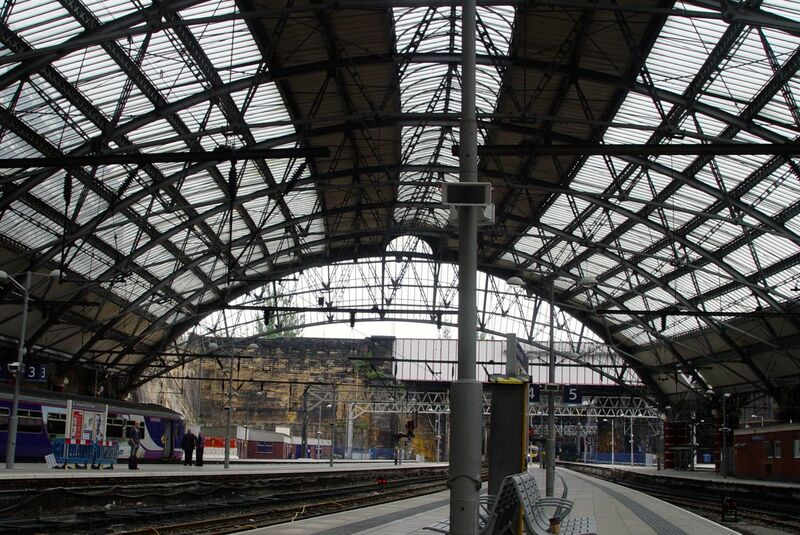 In Liverpool Lime Street. Look at that. At Leeds I’m met by Phil Kirby of The Culture Vulture. Introduced by our mutual friend Rob Greenland who tells me ‘Phil knows Leeds like you know Liverpool.’ He’s also what some call ‘an urban walker’ too. 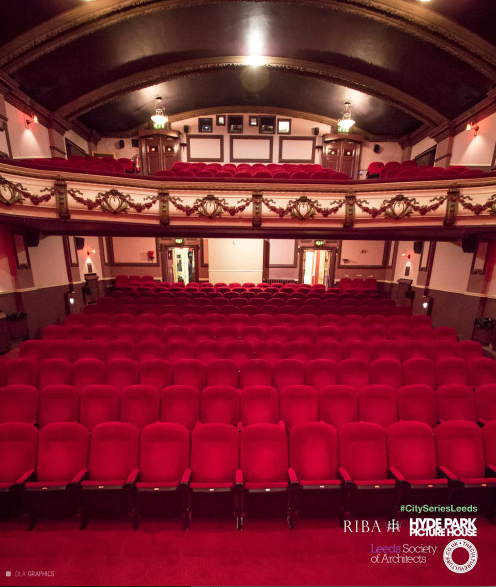 We’ll eventually walk out to here, the lovely Hyde Park Picture House for the film showing. But first, time for a walk around the city centre. 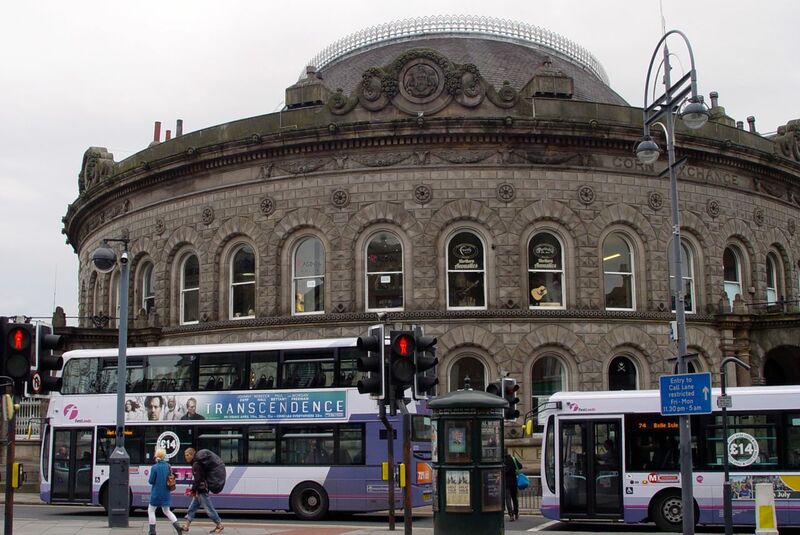 I’m not a complete stranger to Leeds. But I haven’t had time for a good walk round the middle for many years. And things have been happening. 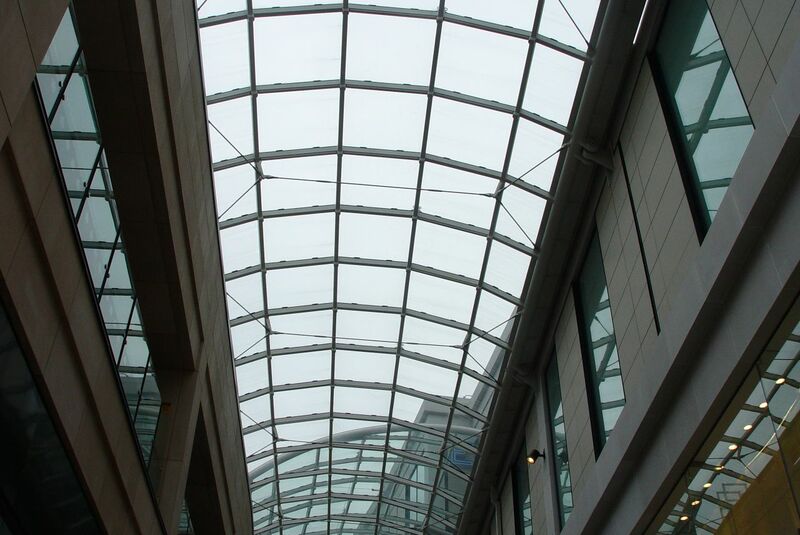 Second glass roof of the day. 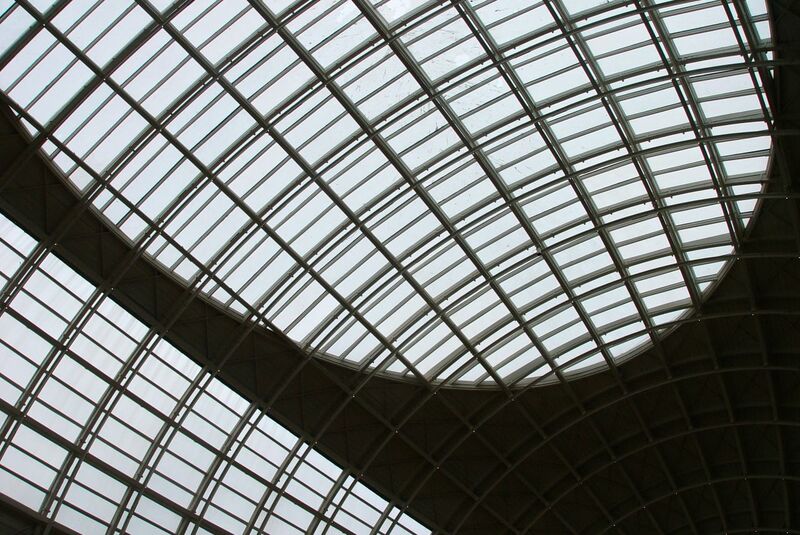 And no ordinary glass roof. People responsible for the Eden Project in Cornwall created it. And this BBC film calls it ‘iconic.’ We stare up at it remarking that time and public opinion are the ones to call a thing iconic, not its developers. 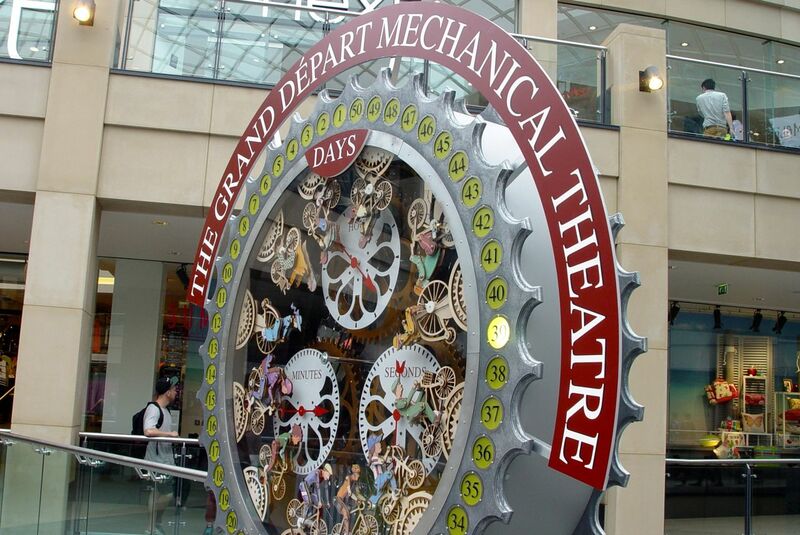 This lovely clockwork machine in there anticipates the start of this year’s Tour de France in Leeds, in just over a month from now. And the roof truly is impressive. But what’s that horse got on its back? Turns out it’s supposed to be a roll of carpet, representing the textile heritage of Leeds. Even worse public sculpture is to come. My fingers just can’t be bothered copy typing a load of Greek and Roman Mythology out here, but, briefly, this goddess of variously war, wisdom and – see what she’s carrying – spinning, weaving and needle-work, gets upset when mere mortal Ariadne gets better at textiles than her. So she challenges her and smashes up all of her equipment. Eventually getting celebrated for this with her statue in front of this corporate temple. Full of the usual brands and privatised streets. And bearing an uncanny resemblance to somewhere close to home. 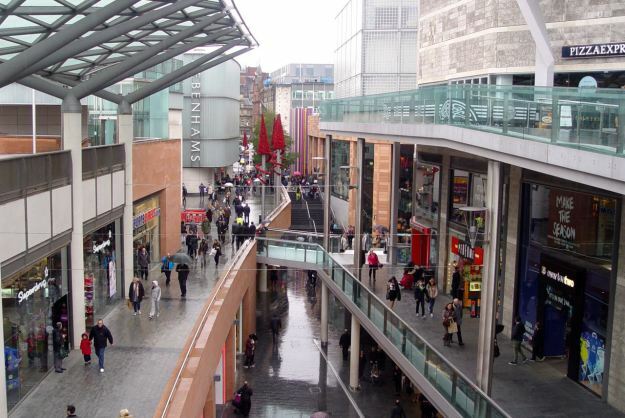 The privatised streets of Liverpool One. Last mention of Liverpool for a while, honest. The inspiration for Trinity’s roof? And the roof? As iconic as time and public opinion say it is. All’s not entirely well in this lovely place though. I remember it as a bustling, friendly place. Full of food, clothes and a bit goth, a bit hippy. Not now. 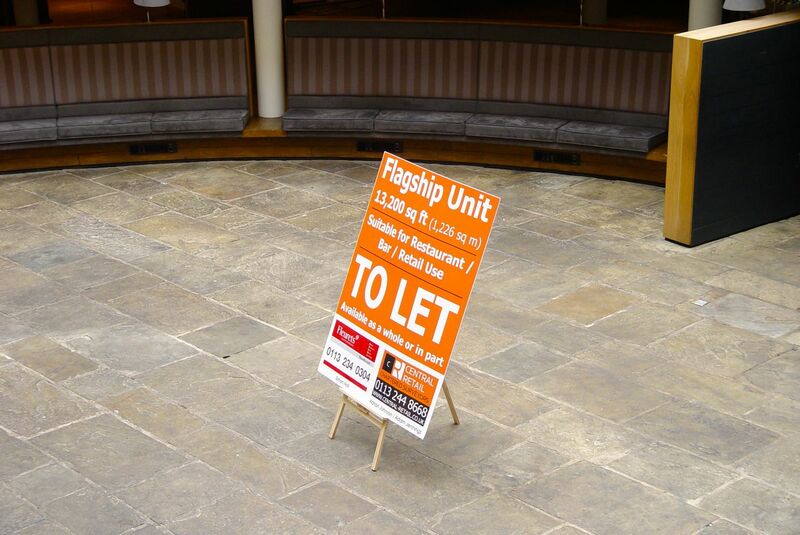 There’s apparently been a determined attempt to push it up market and many former tenants have been eased out to create a large café space on the ground floor. Which is now empty. 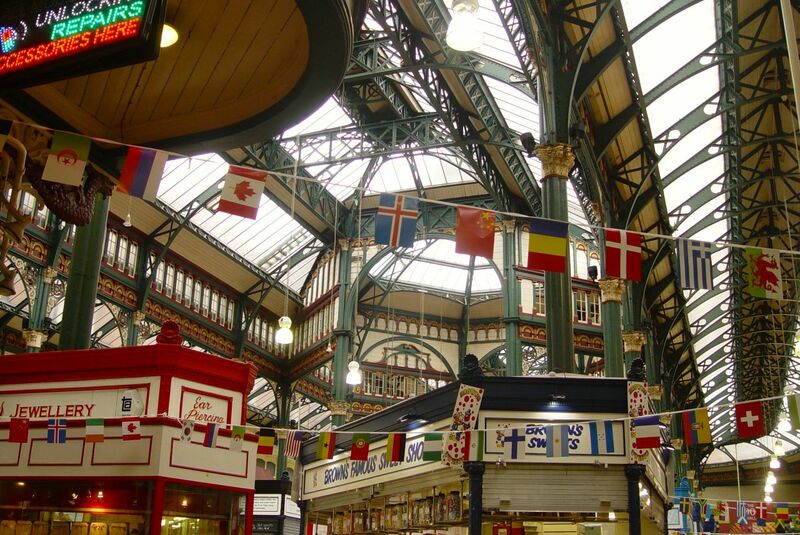 All flagged up for the World Cup, this is Kirkgate Market. 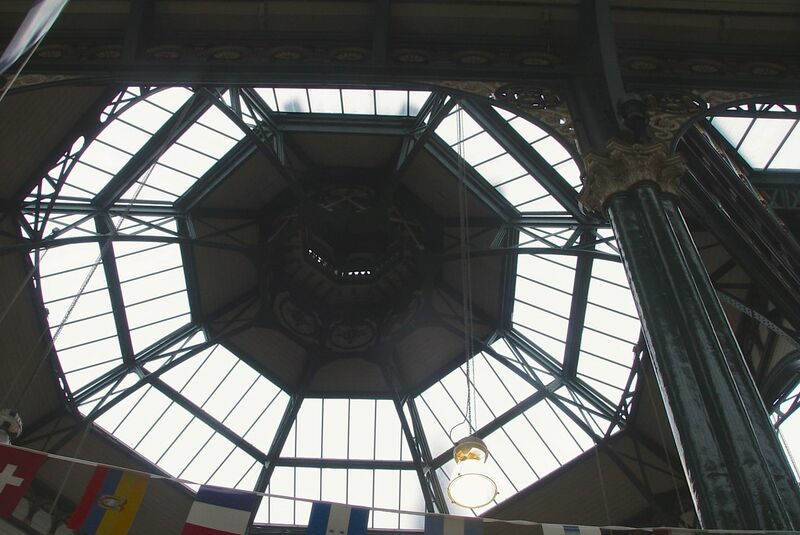 The largest covered market in Europe and as fine a glass roof as we’ve seen, even today. A real life proper market. Not a boutique pop-up in sight. Oh, apart from this one. They began here in 1894 and I express how touched and surprised I am that they’re still here. Phil slaps me round the chops with a handy wet fish (he doesn’t really) and snaps that they only reappeared a year or two back. Pure ‘Heritage’. 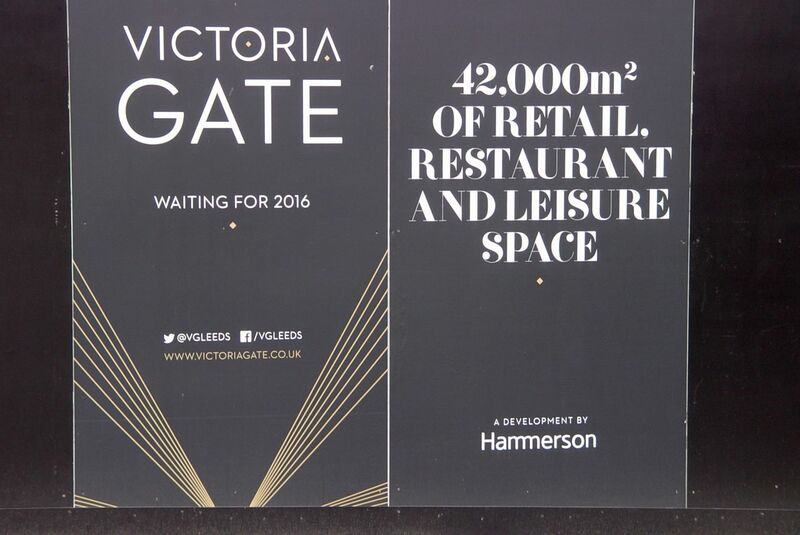 Next to Kirkgate developments are underway which have been threatening to take up some of its space. 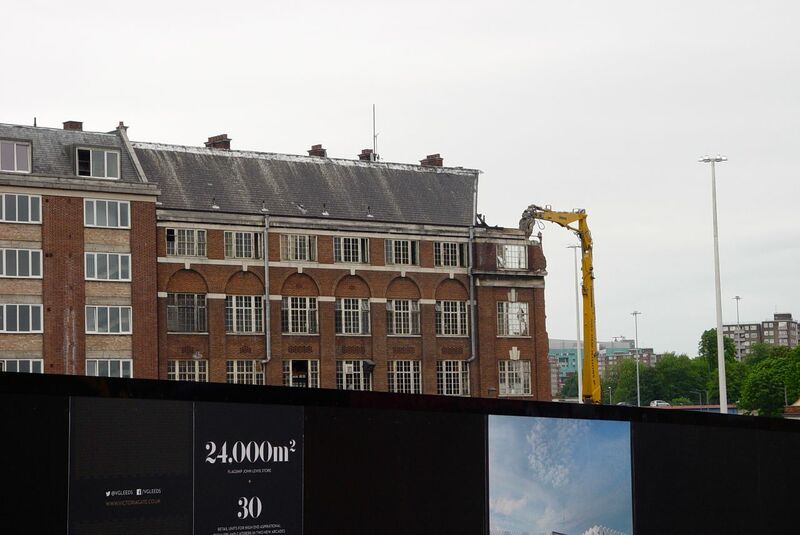 This will include a John Lewis store. Leeds doesn’t have one. 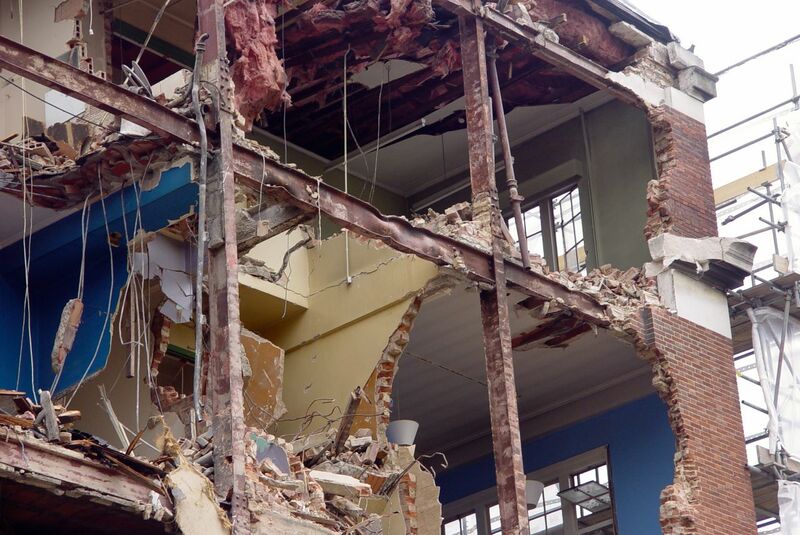 Even as we stand here walls are tumbling down. ‘Popular with locals’ Phil tells me. Will the new places not be for the likes of them? In the interests of local history. Here are the moments of destruction. We so often forget what’s gone. Even a day later. Empty for years and a memory of when the post war Socialist government (bless their memory) briefly nationalised Britain’s haulage industry. A final bit of shopping? Not that either of us has done any so far. It’s late on in the day as we pass through. And it’s quiet, the day after a bank holiday. 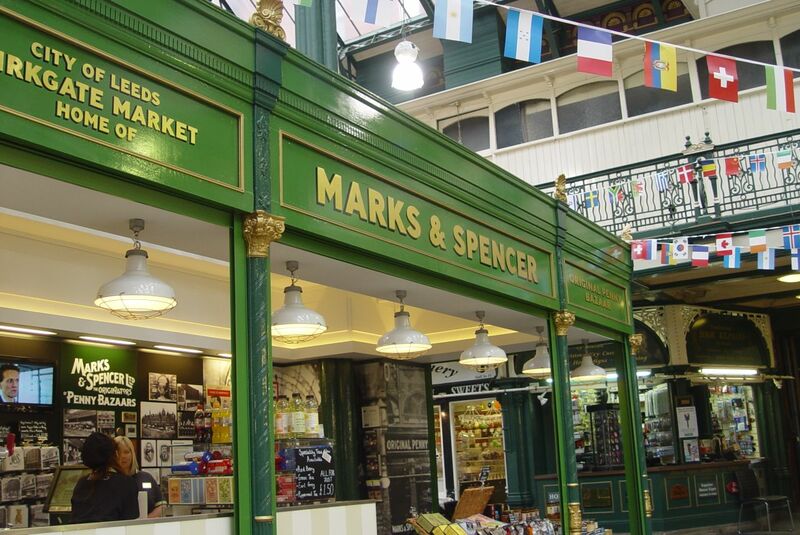 The independent shops and cafés here are getting ready to close. And it does look so lovely. But we can’t stop as we’re soon due at the cinema. So it’s through the University and across Hyde Park. 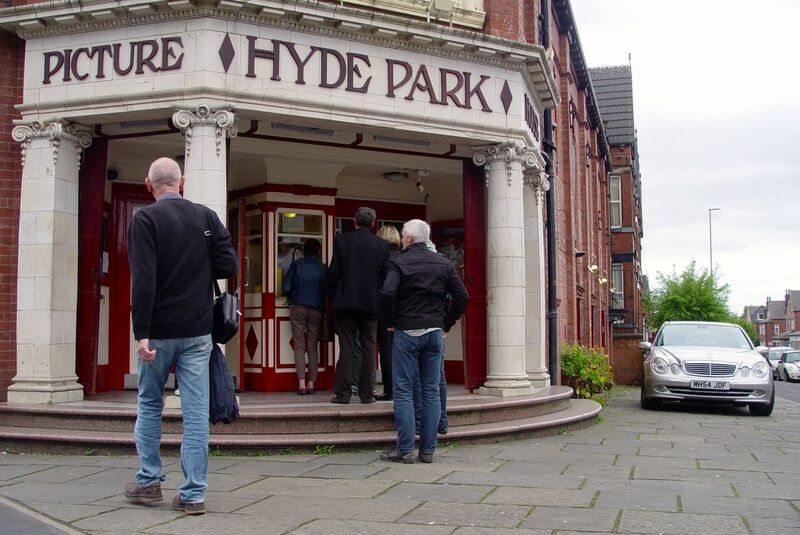 Into the Hyde Park Picture House. But how we all love it, openly and passionately. I think I talked about this more than anything. Then we watch the film. 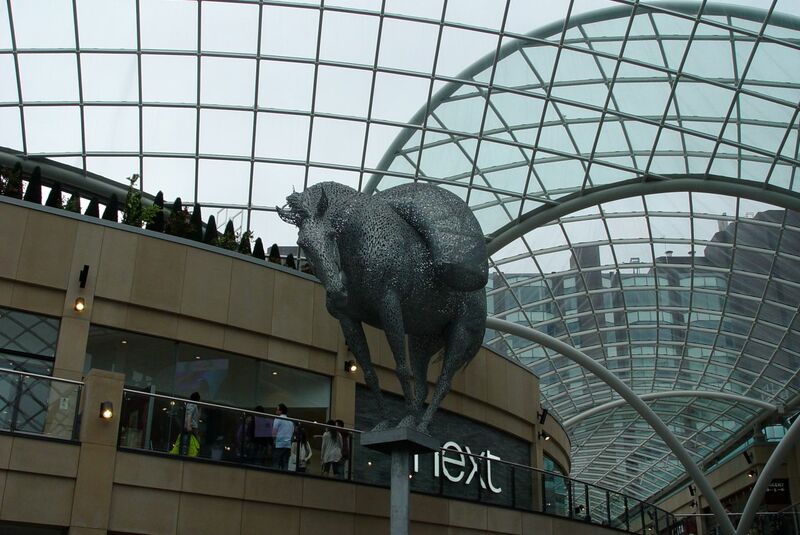 A personal statement, warts and all, unhindered by sponsors, that dramatically illustrates and inspires about Leeds. A splendid time, it seems, is had by all. In the morning I walk again, alone this time. 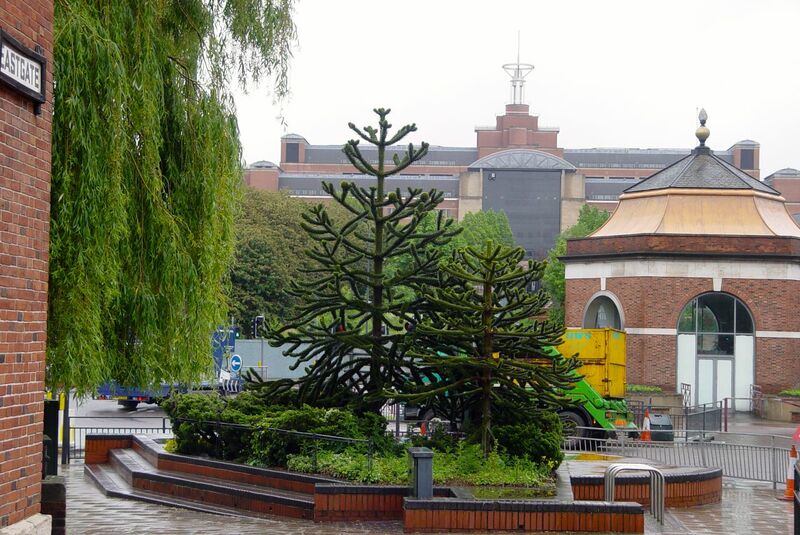 I photograph these monkey puzzle trees at the end of Eastgate. Because my partner Sarah runs a blog that’s attempting to catalogue all of them. Someone’s got to. 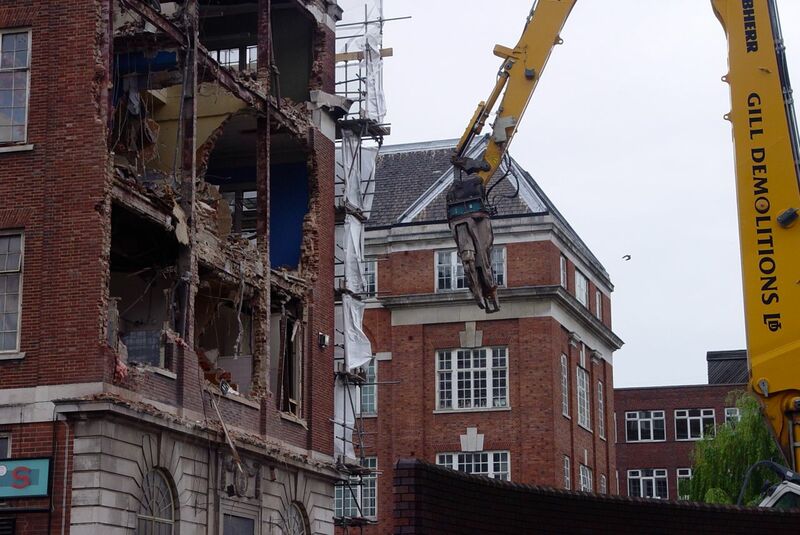 Monkeys in the shadow of demolition. Nearby I find an independent record shop on The Headrow, Crash Records. I support them in the most meaningful way possible by buying an LP. A lovely shop and they tell me about two others, Jumbo and Relics. But by now the rain is sheeting down, so I’ll come back another day for a longer look around. Before catching the train though I meet my friend Rob Greenland for a cup of tea. He asks me about how the film show went and about my initial impressions of Leeds. And it’s only at this point I decide I’ll definitely do this post. Though I’ve been taking all these photographs I’ve been in no way certain that such a short visit would really entitle me to have any opinions. But if you came to Liverpool for a day I’d be interested to see where you went and what you thought. So I offer this gently to the people of Leeds. A great city, a lovely place. But like my own place, joyously imperfect. Closing thoughts? It is a faster place than Liverpool. Feels like too many cars. And the inner ring road is definitely a problem for the places just on the other side of it. And though it’s not a huge city centre it feels like there are already enough shops. Possibly more than enough. 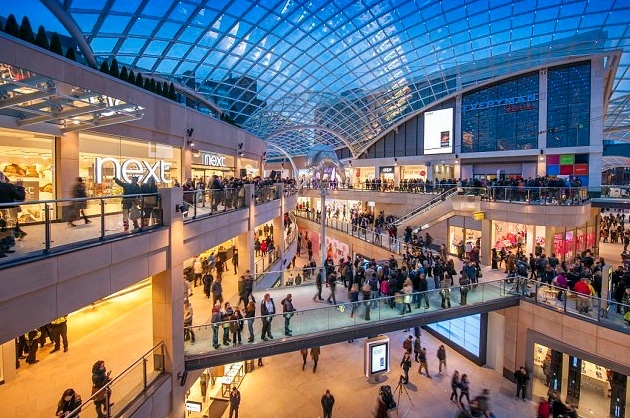 So yet another shopping centre, even if it does contain a John Lewis, might end up damaging the businesses you already have. 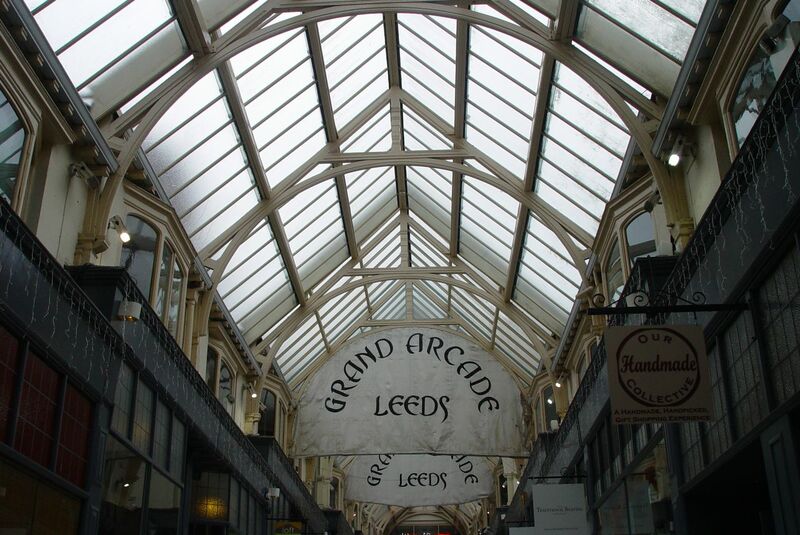 But I loved my time in Leeds and will definitely be back for a longer explore. These are mere first impressions. Big thanks to Phil and Emma at The Culture Vulture and everyone at Leeds Society of Architects for inviting me and looking after me. Come and walk round Liverpool with me any time you like. Our cities are too similar to not learn from each other. 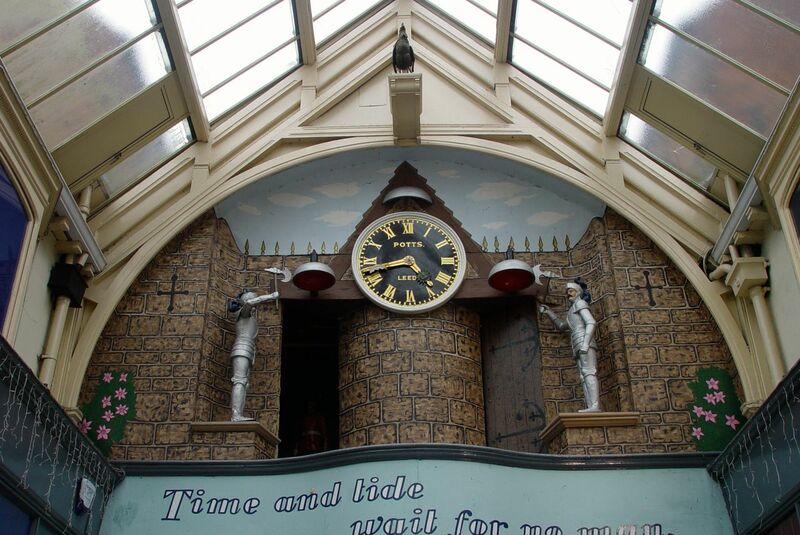 And you can actually view the whole of ‘Of time and the City’ online. 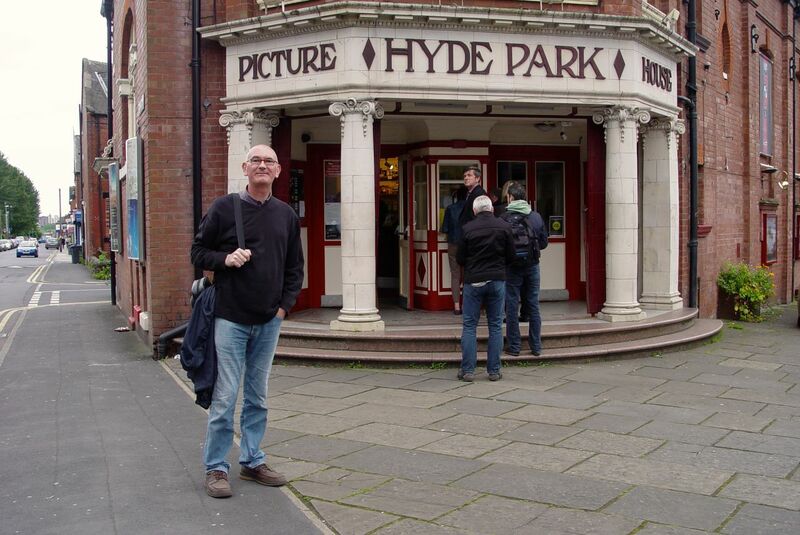 But it won’t look as splendid as it did in the Hyde Park Picture House. And more about why I was invited to Leeds in the first place here. We seem to follow a chosen path Ron. 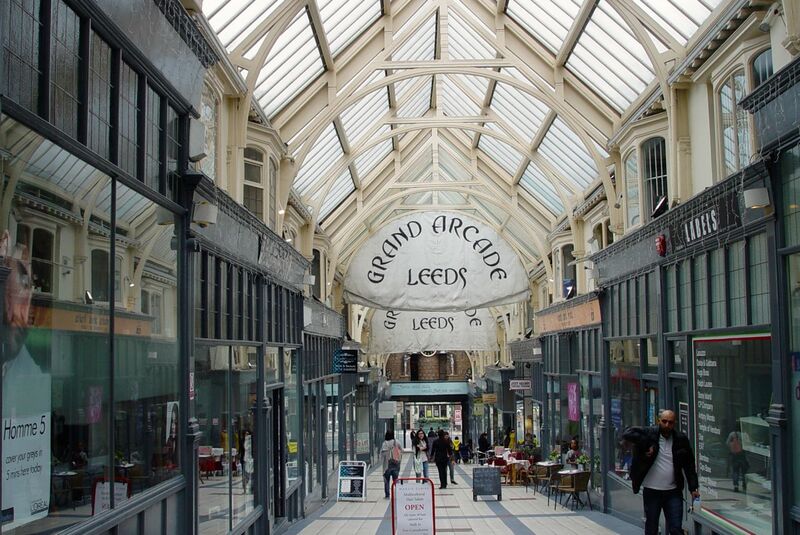 My first experience of Leeds was when in the RAF and returning to York via Leeds. Our train stopped there for about an hour and all of the platform alongside our train was boxes and boxes of fish and it stunk. This was 1956. We called there again last year, returning by coach from Harrogate. You imagine my trepidation of the visit to come, oooh … oh what a surprise I had. The city was fantastic. It seems to have mixed new in with the old so well. We dropped at the bottom of a main road, the name I can’t remember, but it was Something..gate. Loads of shops, Betty’s paradise. And the streets off the side with their covered arcades, they were fantastic too. We were there for two hours and it went so quickly. It is a fantastic place Stan. They’ll be glad to hear that another Liverpool person thinks so too. And I was in the railway station both arriving and leaving and can reassure you no heaps of stinking fish from 1956 were still on the platforms there! What a strange and one-sided journey. I have heard the anti-art stuff before, everyone’s an art critic eh?. But, lets get the facts straight. 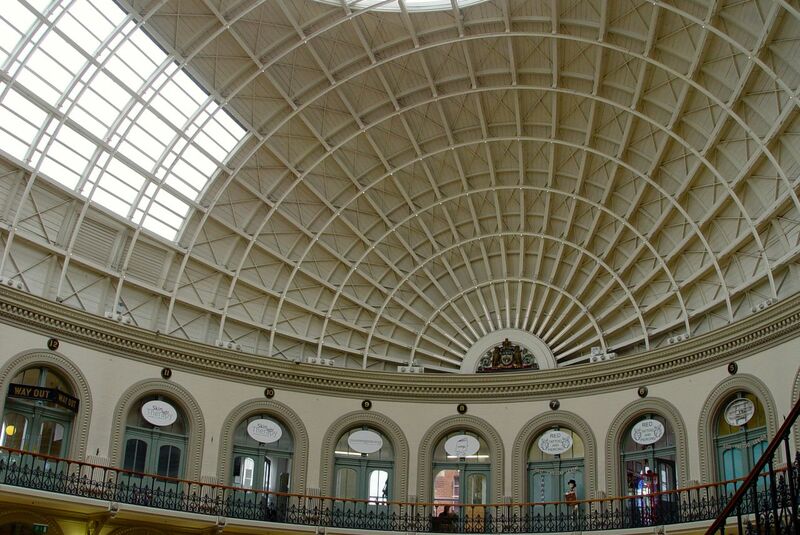 The empty Corn Exchange lower floor is certainly not the result of the issues caused by the refurbishment (almost 10 years ago), but by major Leeds restaurant Anthony’s closing down last year. 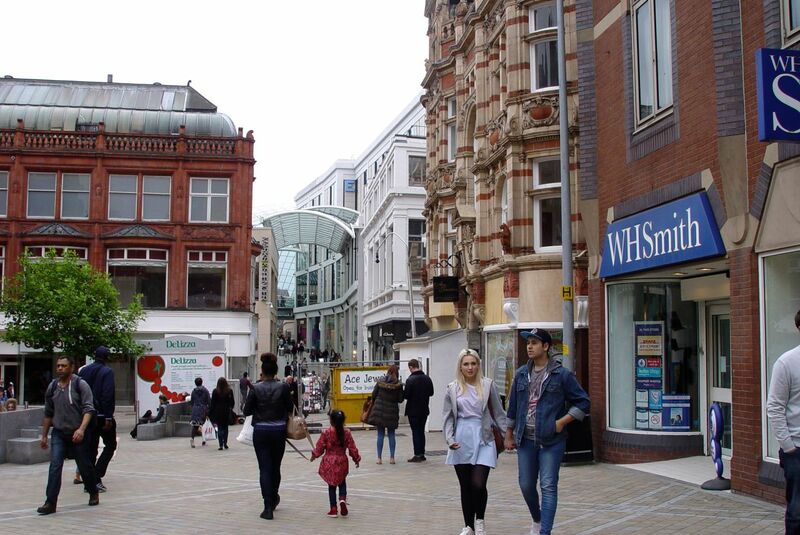 The centre is now full of independent retail, cafes, specialist music shops etc. and is finally getting itself back up after being talked down for years – these independent retailers deserve more support than this. And Hoagy’s? A really nasty little pub that will be missed by a few. It’s not about facts, it’s about opinions. A gentle walk round the streets. And this is my blog and so not obliged to reflect all sides of any possible argument. But glad you feel so strongly. I agree that it was one-sided. We only had a couple of hours and obviously had to fit in a couple of pubs along the way so couldn’t cover much. And there was no plan, we just wandered where our feet took us. We did a lazy loop around the city centre, taking in Park Square, Victoria Gardens, The Headrow, Trinity Shopping centre, a couple of Arcades, the Corn Exchange, Kirkgate Market, Eastgate, The Grand Arcade, Merrion Centre, and then a wander to Hyde Park Picture House taking in the BBC buildings, St George’s Field and Hyde Park … I was a bit out of puff at the end of it to be honest and don’t think I could have done much more but apologise if I didn’t do all you think I should have. And Hoagy’s? 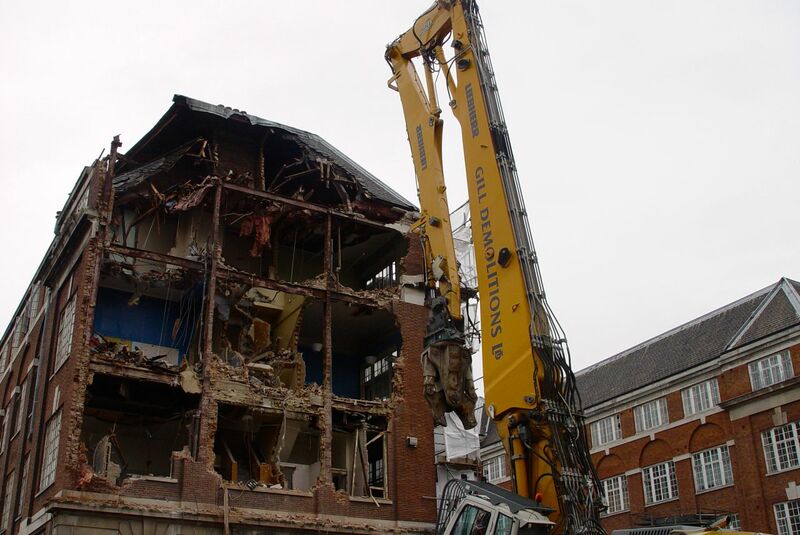 “A really nasty little pub that will be missed by a few” … Again, that’s an opinion. A mean-minded, vile, contemptible opinion in my mind, but one that you are quite welcome to. No need to apologise Phil. It was a great walk. The kind you just can’t do if you’re a stranger in a place. 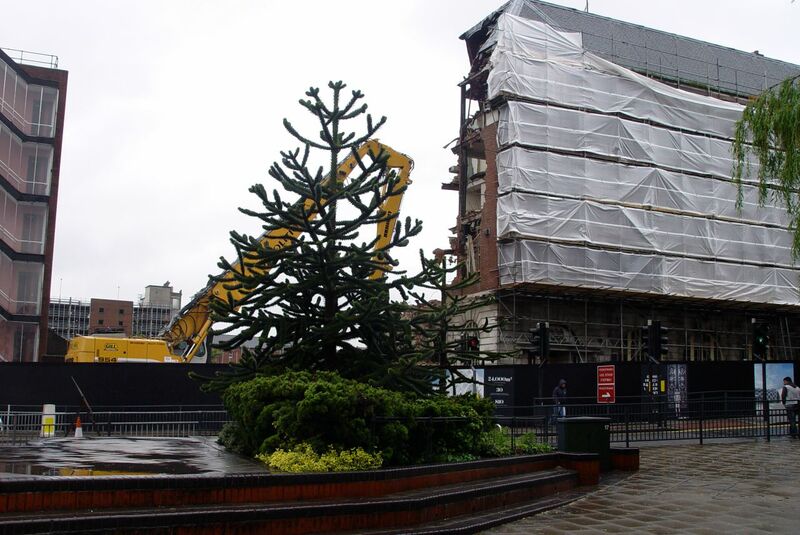 More about what actually happened at the Corn Exchange over on The Culture Vulture’s blog. Thanks Al, I think we’re edging towards the truth here. The usual tawdry tale of gentrifying a beloved space. Hey Phil, my opinions are not vile and mean-minded mate – as you know – just like to see balance and a little bit of factual info. Sorry, true, I didn’t much like Hoagy’s – not a nice pub at all. 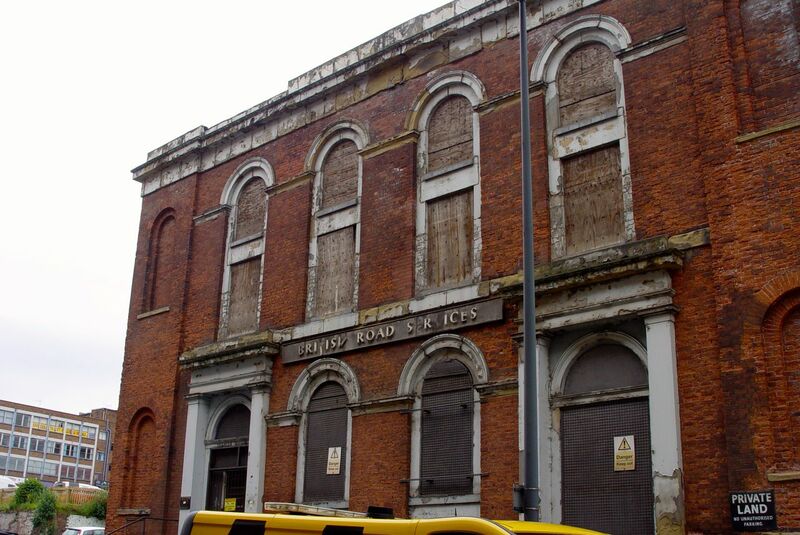 Went once, seemed horrid, never heard it mentioned in any discussion of good pubs in Leeds. People like to talk down places like the Corn Ex, the market and Birds Yard, and then the footfall drops, and people go bust. The company who own the Corn Exchange were stupid and arrogant a good few years ago sure, but the indies who are there now have nothing to do with that. The owners are an investment company who care and know little about the place. But it seemed a missed opportunity to tell people about the 20 or so struggling indies there now. Phil’s written his own blog about this now. See the link above. 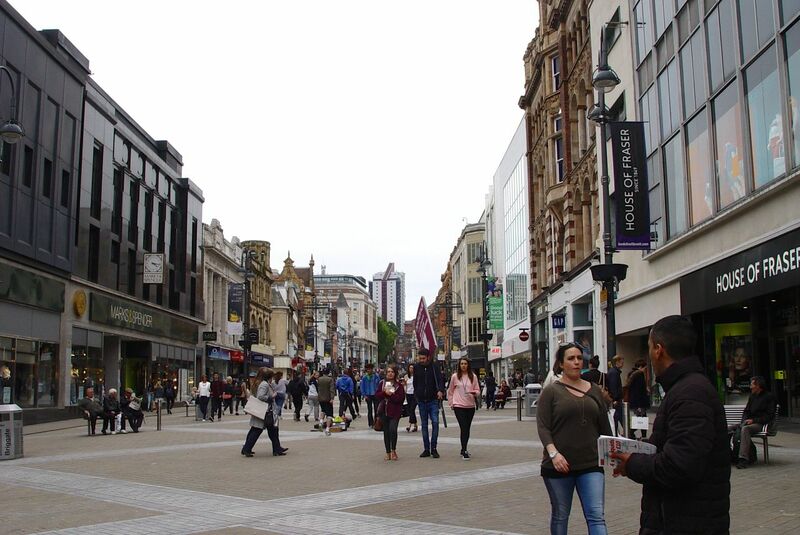 My own aim here was simply to write a ‘first impressions’ piece about walking around central Leeds and doing a bit of comparing to Liverpool. Mine is not a listings or promotional blog. It’s a blog of my options. And anyway, you’ve told people about the ‘struggling indies’ yourself now. A nasty little place, missed by few? That wasn’t mean minded? Nick, Hoagy’s had a plenty of punters that loved the place. Not my idea of pub heaven either but I passed the place almost every day and it was always lively – a little too lively for me sometimes. 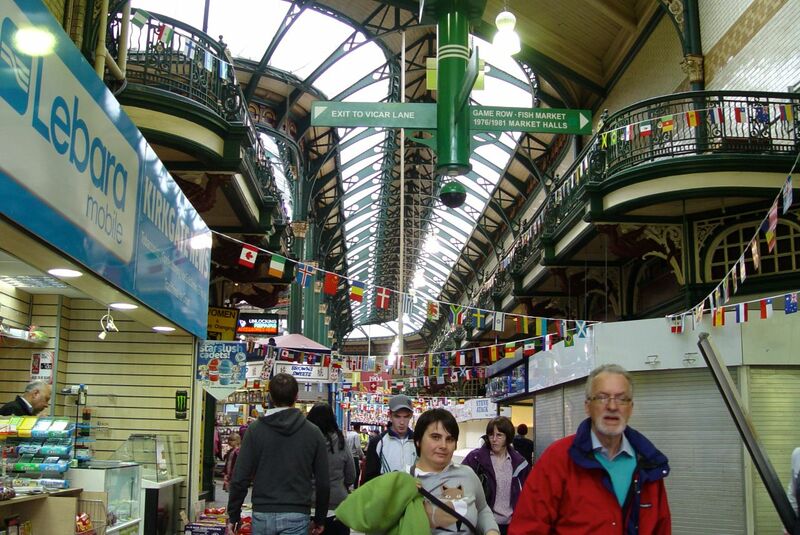 I took Ronnie by the Corn Exchange – and the market – because I love those places too. But we had a few minutes in each. It was a snapshot, not an in depth analysis. And what do you want me to say about the struggling indies in there. I’m sorry, it bores me. I don’t buy because there’s nothing I want. I used to shop in the old Corn Ex all the time but just can’t see why I would now… Is that because people “talk them down”? I’m not convinced of that argument. I’m not sure why I have a responsibility to use the “missed opportunity” to pretend I’m interested. Isn’t that why they pay for PR? I’m not on the Corn Exchange payroll, I was just having a wander through a city I love. Yes, there seems to be a general expectation that all ‘independents’ are good and to be supported without judgment. Whereas an independent selling over priced tat is still a shop selling over priced tat. Too many independents, in my experience and opinion, seem to base the stuff they offer to their prospective market on Cath Kidston kitsch. Lovely little post; although you’re right. You’ll never capture the truth. Life, though, is an endless and joyous pursuit, nonetheless. 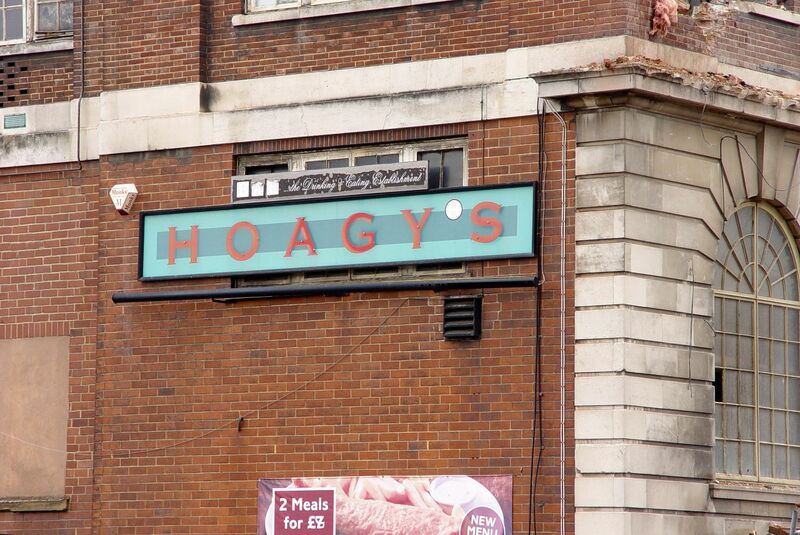 Have to say, fairly nonplussed by a couple of comments on here: Hoagy’s as I recall was never nasty – and certainly never little (I’m talking about before the big screen sports days – but surely the walls haven’t been encroaching on the centre ground, Star Wars style since then?) I wonder if you’re confusing the place with Big Lil’s which, as I recall, wasn’t big; it was however, full of characters, but nevertheless was at least a bar of distinction and contributed to the make-up of this fair city at the time. I’m glad you got to see a few remarkable highlights of Leeds, Ronnie; I know you have Mr. Kirby to thank for that. 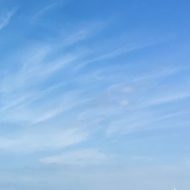 And I think that’s displayed in your obvious affection for the place, despite its imperfections and you can see that this, much like Liverpool, is a place with a huge heart – and big, welcoming arms. Come back soon! Yes, I felt very welcomed and will definitely be back. Even the argument on here and Twitter is the differing emotions of people who love their place. Me, I’m always in favour of a bit of difference in our cities. Don’t like them to feel like a Disneyland shopping theme park. No danger of that in Leeds or Liverpool. Minerva – didn’t know that’s who she was. I always think whoever made her was making a sly comment there, because if ever anyone was enslaved by consumerism, it’s that woman standing on the pillar. She’s in fact entirely made from symbols of enchainment. No doubt approved by a committee. Of stake holders. Men. Of course. 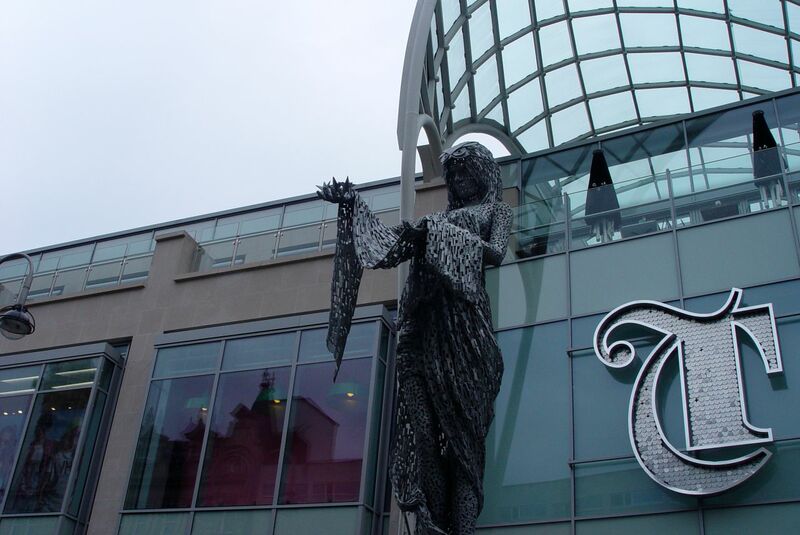 The committee (FIVE women, eight men) was so excited by the shopping centre’s arts strategy and its plans for a stunning sculpture that would provide an echo back to the city’s rich heritage of cloth production, help to identify Leeds as a unique and attractive city by strengthening its identity and distinctive character, and make a positive statement towards achieving the thriving culturally developing and evolving public realm that Leeds deserves, left it to council officers to approve following consultation and engagement with stakeholders and the public.